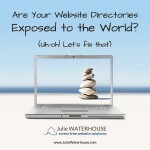 Prevent directory listing: Learn how to stop people from listing the contents of your website folders using the .htaccess file. 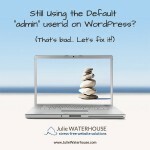 Are You Still Using the Default WordPress Admin Login Id (that’s bad!)? 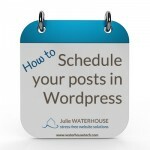 Using the default WordPress admin login id of “admin” is asking for trouble from hackers! If you’re using a security plugin like Wordfence (which I highly recommend), you’ll be able to see that in a given month there could be tens or hundreds of login attempts to your website, most of them using the default administrative userid. Watch today’s episode to learn how to change the default admin id to something less vulnerable to being hacked.